The Karnataka State Open University (KSOU), Mysore – a pioneer in the sphere of Distance Education in India, has great pleasure in greeting you here. For an education institution whose very building blocks are Openness and Universality, nothing more open and more Universal could have happened than this website. 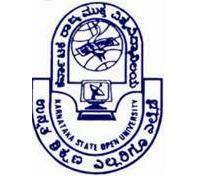 Karnataka State Open University is a well-known imparting quality education for all without any physical boundaries. People who are willing to have knowledge and certificate KSOU is the best university in the field of distance education. Jodhpur National University has pioneered the concept of technical and professional education in the Western part Rajasthan. It was established by Govt. of Rajasthan u/s 2(f) of the UGC Act, 1956.